Inspired by an article published in World Nomads, we take a look at the issue of “driving documents”, starting with a specific area of the Asian Continent. A group of countries that are neighbours but often have different regulations when it comes to road traffic. Here is the information we have gathered. 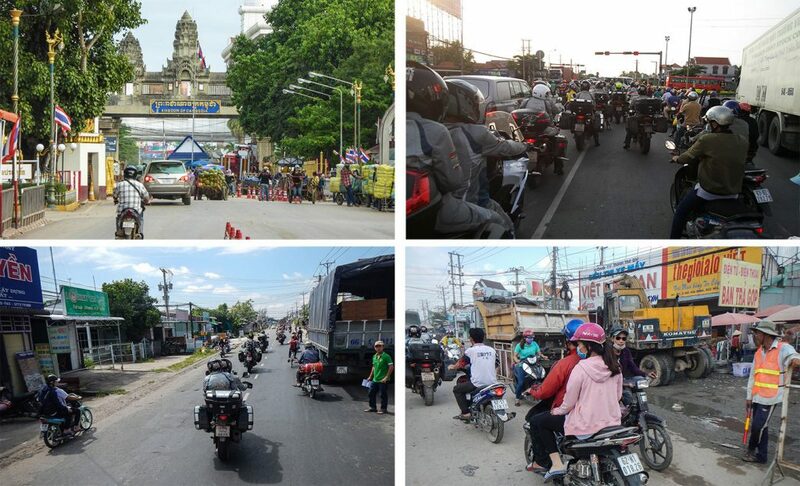 Planning to travel by motorcycle in South-east Asia? First of all, let’s clarify which countries are actually part of it: Brunei, Cambodia, Indonesia, Laos, Malaysia, Burma, the Philippines, Singapore, Thailand, East Timor and Vietnam. In some cases, for example Indonesia, there are no regulations that are valid for the entire country. The almost unavoidable rule is to hold a valid licence for driving a motorcycle and have a validating document with you. We say “almost” because there are some exceptions: in Bali you can obtain a driving permit by taking a test on the spot. It can be obtained at the police station in Dempasar: if you pass the practical test, then pay a fee of 45 US Dollars, you will be given a tourist driving licence that is valid only on the island. As a rule, the international driving permit follows the limits of category, power output and power to weight ratio indicated on your own national licence. Trying to be smart could be risky. Above all, this goes for those who decide to rent a 2-wheeler (whether a motorbike or scooter) in South-east Asia but underestimate the regulations and driving difficulties. In these countries, with roads that are often rough and cities where the traffic reaches levels of pure chaos (one of the worst is Ho Chi Minh City), the statistics on road accident fatalities are shocking (above all in Thailand and Vietnam). In the event of an accident, the insurance policy that you have taken out (which we highly recommend) linked to the vehicle or the journey, will not be valid if you do not hold a licence that is required and recognised in the country where the accident happens. And it will not do so if you are driving while drunk or driving without a helmet where this is compulsory. Brunei: International licence. Drive on the left. 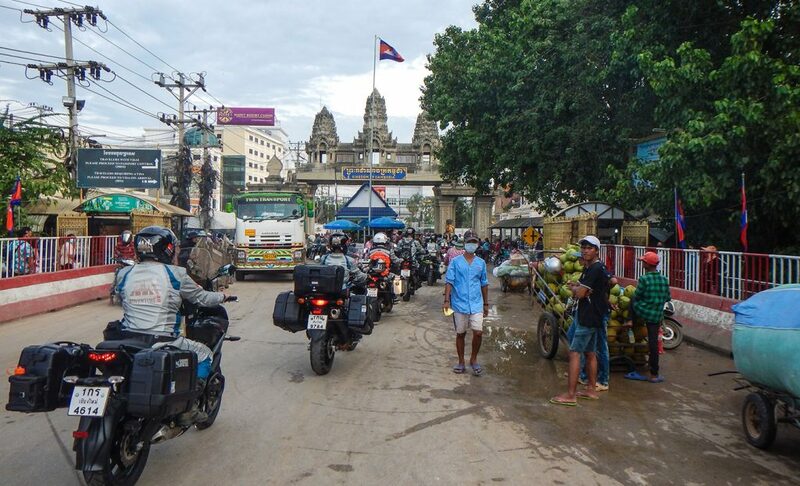 Cambodia: Conversion of the international licence to a licence issued by the Cambodian authorities. This conversion costs around 25 US Dollars. It should be noted that often the rental cars and motorbikes provided offer poor guarantees of safety. Helmet compulsory. Indonesia: International licence. Drive on the left. Bali: International licence. It is possible to obtain a local tourist licence by passing a practical test on the spot (only valid here). Drive on the left. Helmet compulsory. Laos: International licence. It should be noted that, often, cars and motorbikes provided for rental offer poor guarantees of safety. In any case, if involved in road traffic accidents, more often than not, foreign citizens are called upon to pay damage compensation to third parties, both for people and things. Malaysia: International licence + currently valid national licence. If one of the aforementioned documents is missing, you will have to apply for a Malaysian licence by following the local procedures. Myanmar: Licence for visitors, issued upon presenting an Italian licence or international licence to the local police in Yangon. By Burmese law, any driver involved in a road traffic accident with a pedestrian is always considered to be guilty. Maximum care is recommended when driving. The Philippines: The international licence is recognised according to the model of the Convention of Vienna (ratified by the Philippines on 27/12/1973). Use of a national licence is generally accepted by the local authorities for short periods (up to three months from entering the country); in any case, the proper translation in English, declared compliant by the Embassy, is required. Singapore: National licence with official translation in English (again, certified by the Embassy) or Vienna 1968 or Geneva 1949 international licence. Drive on the left. Helmet compulsory for both driver and passenger. Thailand: International licence. Helmet compulsory. Drive on the left. East Timor: International licence. Drive on the left (but you can often see people driving on the right…). 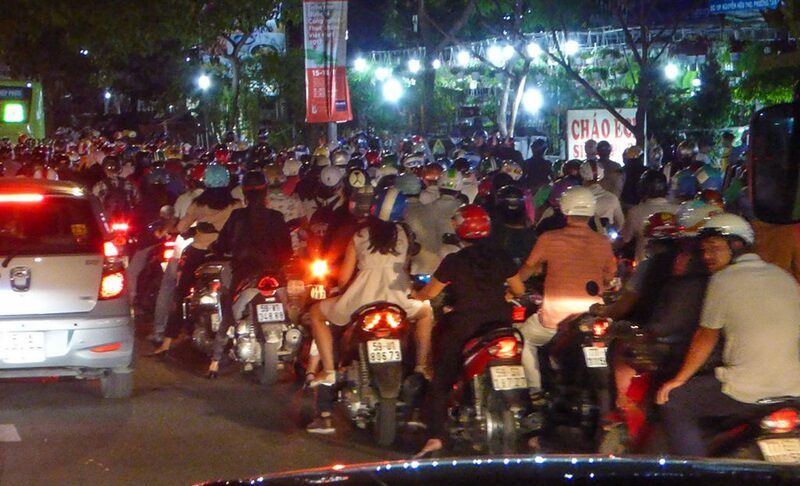 Vietnam: Since about a year ago you can now drive in Vietnam if you hold an international licence accompanied by a national one (in the past, renting a vehicle of 50 cc or over was only allowed with a Vietnamese licence or with the current regulations, but with the addition of a visa of at least three months, so not a tourist visa). Drive on the left. Helmet compulsory for both driver and passenger. Document updated in March 2019.